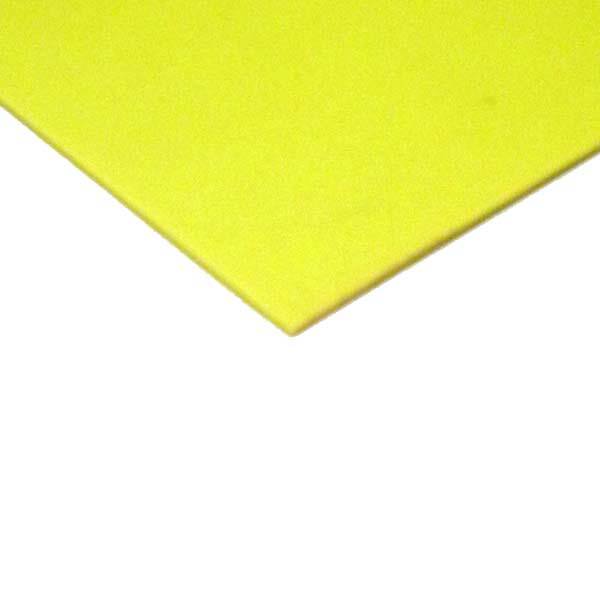 Details: High performance HDPE FLUORESCENT YELLOW base material. This material is extruded. Compared to the 4001/2001 UHMW grade material that we sell, this extruded HDPE material is softer, less translucent, and it accepts wax well. Additionally, this material is more sensitive to heat and it can be melted. One side is sanded and flamed for bonding. Approximate dimensions: 12.5" +/- 0.25"; x 0.047"; (318 mm x 1.19 mm). Sold by the meter. When ordered, the material is cut from a continuous roll. So, if you order more than 1 m, you will get one continuous piece of material.